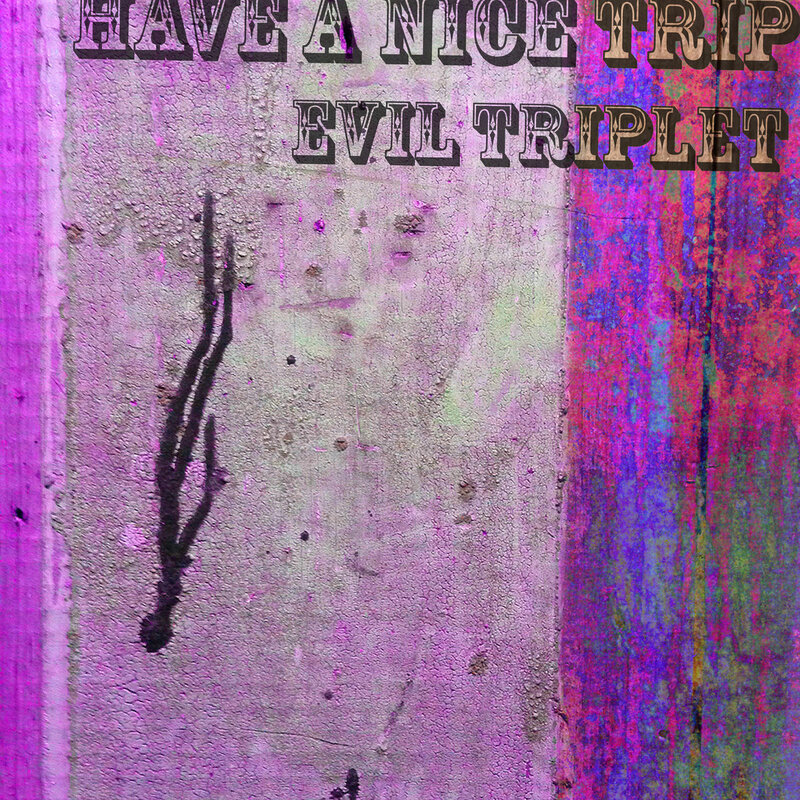 The Sludgelord: ALBUM REVIEW: Evil Triplet, "Have A Nice Trip"
Is messy riffing intertwined with harmonics, synthesizer swirls and keys your thing? If so, hop on the Evil Triplet space ship and don’t look back. Messy riffing intertwined with harmonics, synthesizer swirls and keys? Is that your bag? Then by all means, what the hell are you waiting for? 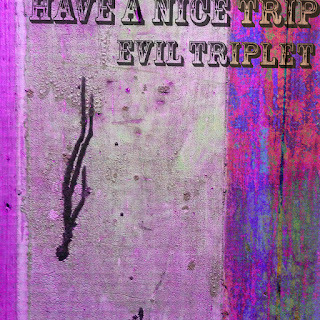 Go grab Evil Triplet’s new album, “Have A Nice Trip”. It’s great! At first glance, Evil Triplet may sound like your every day psych-rock band. But give this album – and their last one, too – a few spins and you’ll experience the magic coming to the surface. There are melodic subtleties that have me going, did I really just hear that? Then there’s some discordant, angular riffing makes me wonder how someone lands on such an idea. Not only that, but how does one convince the rest of the band to go along? But then again, if you take into account how wet the vocals sound, I guess anything’s possible. The album’s highlight is definitely “Open Heart.” It’s as close as the band gets to a song with a pop structure. A solid verse leads into a great chorus, and it’s all driven by those messy riffs, synthesizer swirls and keys. “Aren’t You Experienced” is a sprawling cut that lets loose of a lot of song structure but is no less catchy. The song’s lyrics tell a drug-themed tale by way of extra long verses and a concise chorus. Then there’s the album’s closer, “Apparition.” Depending on the mood of the listener, this song is either a space-ballad or a road rager. As a song, Evil Triplet manage to capture both vibes in one, so the choice is that of the listener’s as to what they want to hear. How trippy is that? And it’s weird stuff like this that adds to the band’s magic. So again, I ask you – is messy riffing intertwined with harmonics, synthesizer swirls and keys your thing? If so, hop on the Evil Triplet space ship and don’t look back.